Our laminated tags are all custom produced. Side 1 contains text or full color graphics. Side 2 has imprinted personal ID information or Information lines to write in personal information. This tag is created by printing on Teslin (artificial paper) and then permanently laminating the card with a gloss laminate on side 1 and a gloss laminate or a matte finish laminate on side 2. A clear vinyl attaching loop is included. 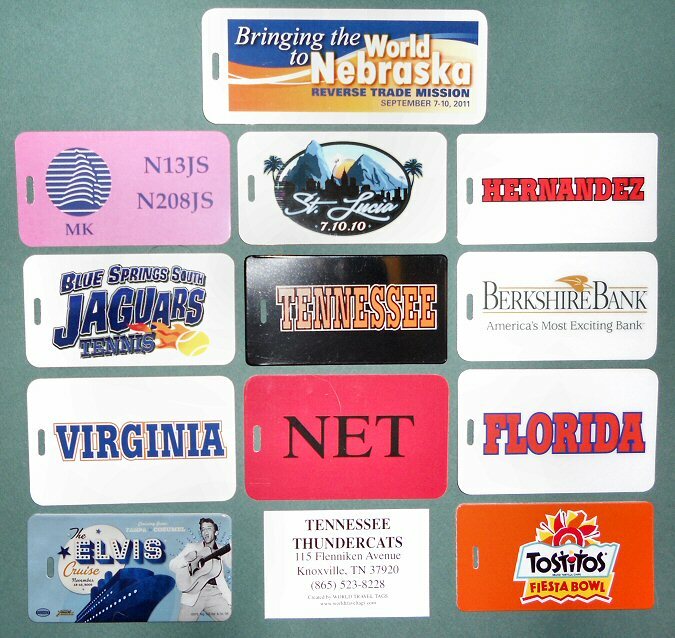 The size of a standard tag is 2-1/4 inches by 4-1/4 inches although other sizes are available. It is best to contact World Travel Tags directly to discuss pricing and design as several options are available.